It’s full of the action, romance and exposition Grant Morrison is famous for! Batman comes to the end of one phase in his life, but there are plot threads for DC to pick up on! The casual reader who picks this up without reader the previous issues will likely be left clueless! Previously in BATMAN INCORPORATED: Talia al Ghul and her organization Leviathan have just about devastated Gotham City. In the process, her son via Bruce Wayne and Damian’s clone are both dead. Now it comes down to the final battle between her and Batman. Who will live and who will die? 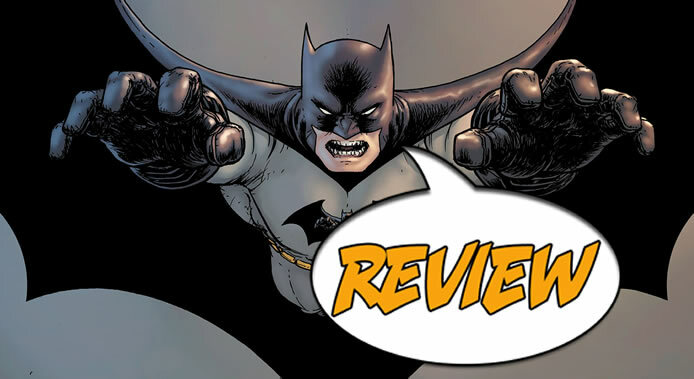 TIME TO SAY FAREWELL TO GRANT MORRISON ON BATMAN AT DC COMICS! You can be sure that when you see the name “Grant Morrison” on the comic, you’re going to get something unlike nearly everything else you’ve ever read. Does that mean his stories are always good? No, honestly some of his work has left me pretty cold. But like the little girl, when he’s good, he’s great! Mr. Morrison has been writing Batman for some time now. During that time, he had Bruce Wayne use his organizational skills to create Batman, Incorporated, a world-wide collection of Dark Knight-like heroes to fight crime around the globe. At first, I really didn’t like this idea because I felt Batman should stick to the shadows as much as possible. But over time, I’ve come to like the various characters in the book, so I’ve mellowed on that score. This issue provides proof positive why Batman keeps other people who agree with his crusade by his side. Despite the image he projects, the Dark Knight is still human and can’t be everywhere or do everything. He needs others to take care of what he can’t do himself. The Detective’s relationship with Talia has been a complex one over the years. Even this go-round, she and Batman kiss before squaring off against each other with swords. A lot of this issue is told in flashbacks. We see Bruce arrested by Commissioner Gordon, who then questions him about what happened. Gordon provides the narration in this book as well. We learn just why he doesn’t go public with any suspicions he has that Bruce is Batman. We also see that the death of his parents still haunts Bruce to this day. We know that DC wouldn’t have let Batman be killed, so it doesn’t lose any of the impact to tell the story this way. There’s plenty of action and a lot of explanation as well. It’s a fitting end to Mr. Morrison’s time with the Dark Knight, but I’m still sorry to see him go. 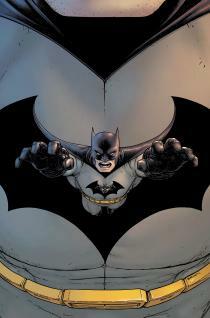 He did expand the way I perceive Batman especially. And for an “experienced” Batman reader such as me, that’s saying something! During recent interviews, Morrison said he expected fans to “hate” this issue. I think he was playing with us on at least one level. He does pull a rabbit out of his hat when it comes to Bruce and Talia’s final confrontation, but given Morrison’s affinity for long-term Batman history, I liked his solution. However, the Epilogue sets up a spin-off storyline that I hope will be followed up on by someone else when the dust has settled. It also adds another way that Damien could come back. I already felt that the Lazarus Pit is still waiting in the background, but this opens another door for the Robin I grew to like. I do have to wonder if Morrison had something in mind for that storyline, though! Still, Batman, who has lost Damien recently, experiences another loss in this book, too. Morrison loves to punish the Dark Knight for some reason! It’s public knowledge that Morrison is moving on to creator-owned comics, and I wish him the best! I enjoyed his recent Happy at Image and will continue to read future projects even if they are not at DC. I didn’t care for Chris Burnham’s artwork when I first encountered it some time back, but it has since become a favorite of mine. He has a clear, dynamic way of breathing life into Morrison’s scripts. One of the great things is that, if one pays attention to the panels, Burnham often gives us an idea just what’s coming soon. When Talia is telling Bruce that he should have killed her when he had the chance, check out where Jason Todd is looking. He’s indicating just what will happen next. I don’t know if that was what Morrison or Burnham (or both) intended, but it makes for a great read, in my opinion. Comics ARE mostly visual storytelling, after all! BOTTOM LINE: THIS IS NOT THE END OF BATMAN, INCORPORATED! As I said, I’m hoping DC will continue the plot thread left dangling at the end of this issue. We already know that there’s an all-new Batman, Incorporated special coming soon (fortunately, the ad for this book was NOT in this book, but was in other releases). Mr. Burnham and several other talented folks will be providing the stories there, so I’m already looking forward to it. Given that DC prefers to keep 52 titles on the stands each month (and has cancelled a lot of previous ongoing comics), I hope there’s a new incarnation of this book in our future!